I started my first day with SQLskills on Jan 19th, and after 2 ½ weeks all is well; I have zero regrets as I work with an amazing team that has given me a ton of support. The change has been interesting moving from a cubicle life I have known for 17 years to working from a home office. So far I love working from the home office. Communicating with my team and the SQL Community on twitter is enough socialization. I am not feeling any negative effects of not being in an office around other humans. The home office is a nice setup to work efficiently. SQLskills provided me with a server class laptop with a docking station. I combined the docking station with a USB 3 docking station and am powering 4 additional 24 inch monitors for a total of 5 screens. That is a lot of screens and my kids say it looks like NASA, however it really helps have multiple things visible at once. I typically have Twitter, Outlook, Lync, VMware Workstation and MSWord all open without having to constantly minimize and maximize applications. I found early on that I needed a bunch of virtual machines in order to effectively help clients. This made my first week somewhat chaotic with my hardware arriving mid-week, building VM’s, learning the SQLskills health audit process, etc. With week two I was able to complete my first health audit and learn the process as well as to write my first article for http://sqlperformance.com. 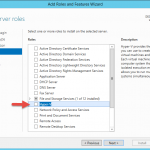 I wrote about getting setup with SQL Server Agent Alerts, you can read the article here. If you are not using SQL Agent Alerts, you really should be. Who doesn’t want to know their servers are having issues before your clients? Week three has been ramping up on another client engagement and closing out the first engagement. Things have been quite busy with SQLskills, getting settled and up to speed, and that is one of the reasons it has taken me so long to get my first blog post out: I have simply been too busy! I am really looking forward to my future with SQLskills. My slate is quite full. I have more articles to write for sqlperformance.com, blogging, training, Pluralsight videos to produce, SQLskills Insider videos to make, consulting engagements, training, and speaking engagements like SQLintersection – phew! Stay tuned for my next blog about recovery plans. Recovery plans or Recovery Pains? haha – sounds like a good spurt of growing pains for you – in a good way! Congratulations! Tim is a good friend of mine and I can tell you that there is no one more deserving or qualified for the position that he now holds. Congratulations Buddy!